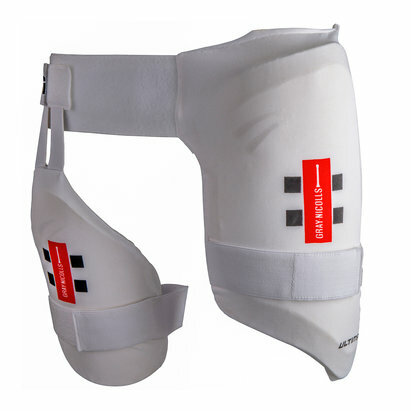 Pro Guard Players Lower Body Protection - Combination Thigh Guard Set. 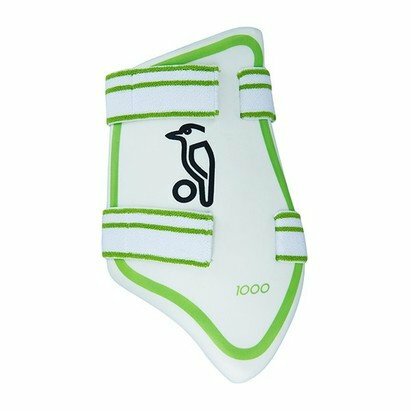 The Kookaburra Players Pro Guard is an excellent 'Test Match' players (Level 5) quality micro weight combination Pro Guard to protect the inner and upper thigh. It combines phenomenal upper leg protection with micro weight materials, allowing players complete ease of movement and excellent comfort. Microweight UHDF with poly Carbonate Reinforcement. Fully adjustable components offering custom fitted protection (including upper thigh protection panel). Anti Bacterial Air Flow Mesh.